Even if you've never been to Queens, New York, you probably have heard of Rosie, the queen of Corona. She plays a prominent role in Paul Simon song "Me and Julio Down by the Schoolyard." Simon said the song, released in 1972, was "pure confection" and had no meaning to real people or events. It's just a catchy tune, and he said he got a laugh out of singing the lyrics. In other words, there is no Queen Rosie. She's a queen only in song. Simon grew up in Queens and said using the name "Julio" sounded "like a typical neighborhood kid." That name would be especially typical in the Corona neighborhood of Queens, which The New York Times reports have the most immigrants from Latin America in Queens. And the name of the place itself is Spanish for crown. All very fitting. Corona is New York City with a Spanish accent. You hear it on the street and read it on menus. And yes, you hear it in names that ring out on the schoolyard. Corona is in north-central Queens, not far from Jackson Heights and Flushing. Northern Boulevard is on its northern boundary (easy to remember), with the Long Island Expressway on the south. Junction Boulevard forms the western boundary, and Corona meets Flushing Meadows-Corona Park on the east. Take the No. 7 subway, which stops at Junction Boulevard, 103rd Street-Corona Plaza and 111th Street. It takes about a half hour to get from Times Square to Corona on the No. 7. If you're driving, Grand Central Parkway and the LIE make an easy connect. Corona is dominated by multifamily housing, with older two- and three-family buildings shoulder-to-shoulder amid medium- and large-size apartment buildings. LeFrak City, built in the 1960s, has 20 high-rise apartments, a pool, playground, and shops. Housing costs in Corona are relatively less expensive than other neighborhoods in Queens. If you want Latin food, Corona is the place to go. The New York Times says Corona has some of the best Mexican food in NYC. Head there for great Mexican taquerias, Argentinian steakhouses, world-class margaritas and empanadas that make you think you are in South America. 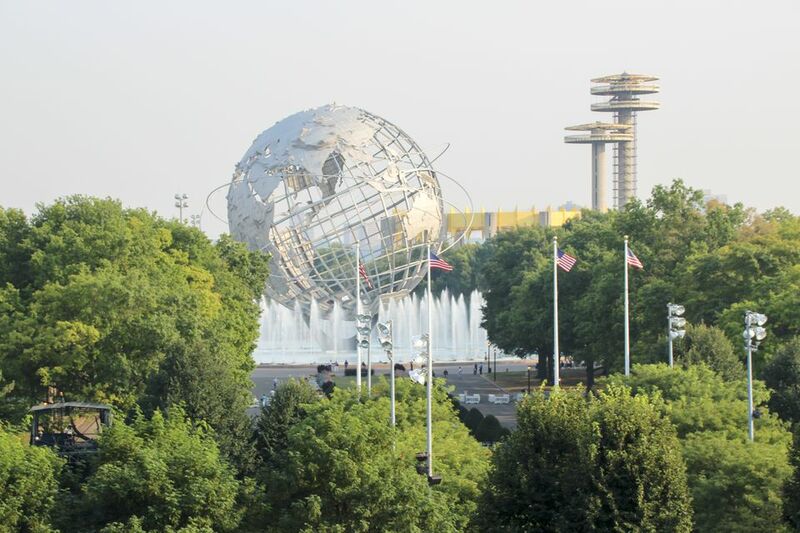 Flushing Meadows-Corona Park covers nearly 900 acres and is home to the Queens Zoo, the New York Hall of Science and the Queens Museum, with its famous Panorama of the City of New York. The U.S. Open happens here annually. Plus you'll find lots of green space, a lake, and ballfields. And all this is right on the eastern border of Corona. Besides all this fun stuff to do, Citi Field, the home of the New York Mets, is within walking distance of Corona. Corona is also known for being the longtime home of the legendary Louis Armstrong, who lived on 107th Street through the height of his fame, from 1943 until his death in 1971. The house is just as it was when Satchmo and his wife, Lucille, lived there, furniture and all. You can take a tour of the house and hear audio clips of homemade recordings the jazz great made when he practiced playing the trumpet.